In honour of Giving Tuesday, here are five Canadian brands that give back. Gifting and shopping are so much more meaningful when you know your purchase is going to help those in need. More and more brands are focusing on giving back as part of their business model and I’m all for it! 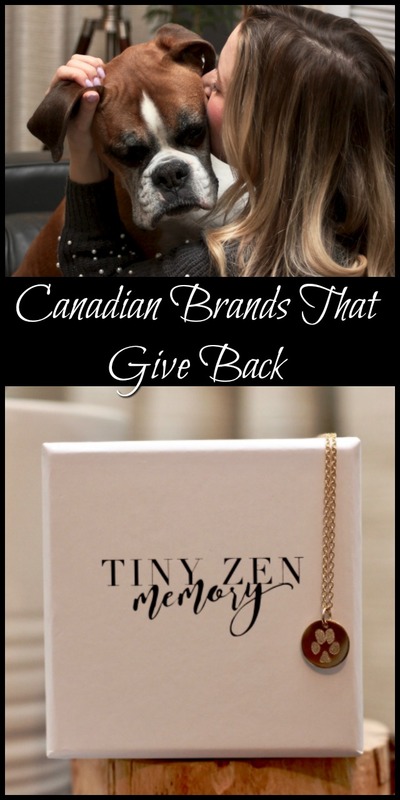 On this Giving Tuesday, I’ve decided to showcase five of my favourite Canadian companies who give back! Mompreneur Kate Ko started Tiny Zen Jewelry, a handcrafted, ethically-made (and sourced) line of Mala necklaces, healing bracelets, and therapeutic pieces, a couple of years ago out of her home just outside of Edmonton. 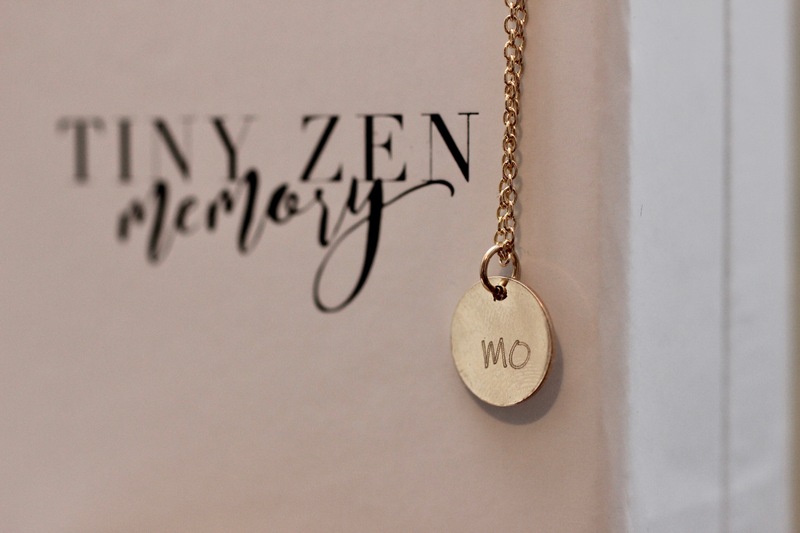 She has since introduced her audience to her new venture, Tiny Zen Memory which “encapsulates your fondest memories and commemorates your most meaningful connections”. Kate takes your drawings, fingerprints, handprints, sound waves, and more, and turns them into beautiful jewelry. She even does paw print pieces for animal lovers! I had one made with our pup Moses’ print, including his name on the back. I love that I can wear it close to my heart. Tiny Zen Jewellery donates to One Tree Planted. For every Tiny Zen Jewelry purchase, one tree is planted. 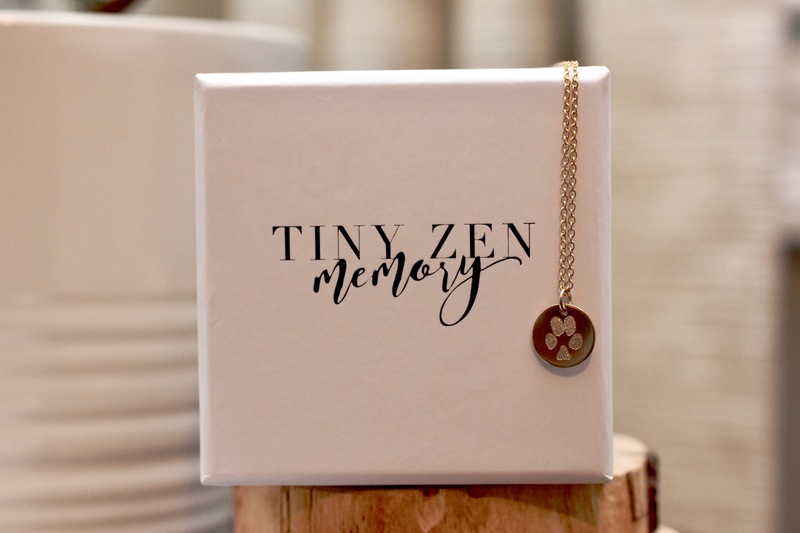 Tiny Zen Memory donates five dollars from each piece to Terra Centre, a non-profit organization helping pregnant and parenting teens develop the self-reliance and skills to be successful parents. 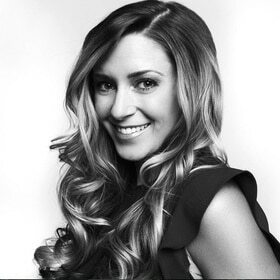 I adore I Love Tyler Madison – a clothing brand started by sisters and fashion designers Jacqueline Harris and Charna Zucker. They produce some of the best pants I’ve ever worn. Their company is named after their two rescue pups Tyler and Madison (how sweet is that?). All of their pants are pull-on because they “don’t want girls to stress over something as silly as the top button challenge.” I particularly love their high-waisted knit vegan suede leggings. 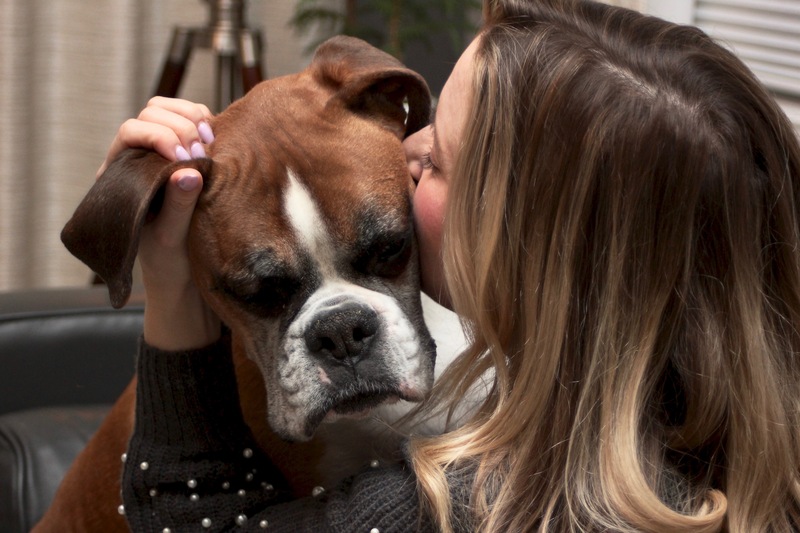 With their Paw It Forward Program, ILTM donates a portion of all proceeds to multiple pet organizations and charities, including the SPCA and PETA. Read more on ILTM here. These are my ‘I’m on a mission’ boots. 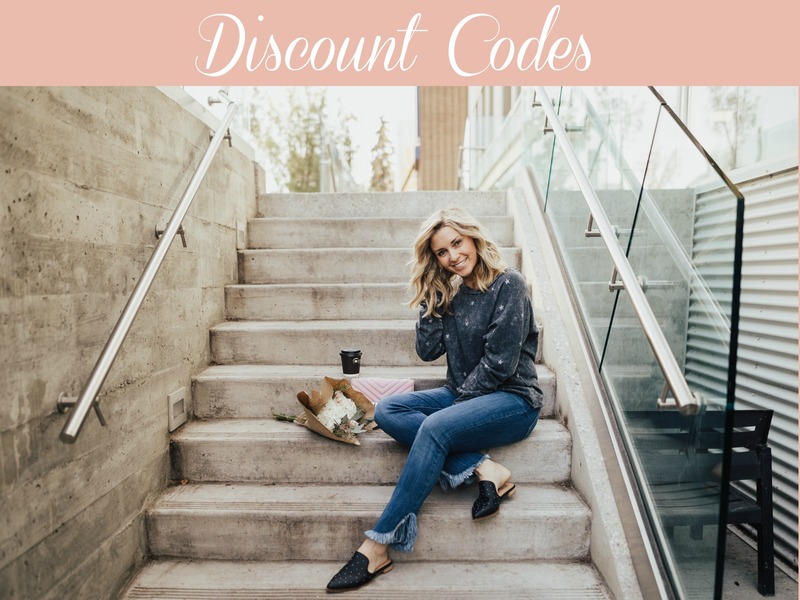 Comfortable, stylish, and excellent quality (mine still look brand new years later), Poppy Barley footwear is designed in Edmonton, and handcrafted in Leon, Mexico. 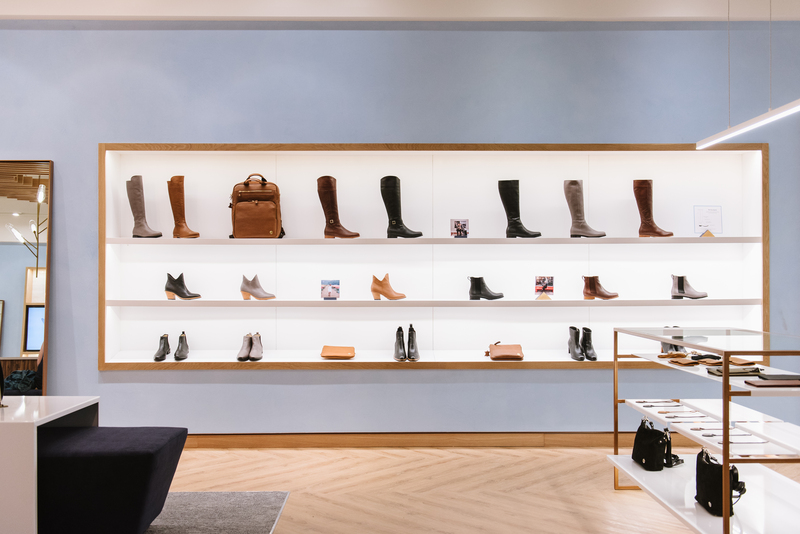 Started in 2012 by sisters Justine and Kendall Barber, Poppy Barley prides on ethical manufacturing, positive work conditions, and well-made footwear. Mazankowski Alberta Heart Institute and most recently donated $20,000 (100% of proceeds) from sales made between Black Friday and Cyber Monday to fund the purchase of a new Panda Warmer for the Lois Hole Hospital for Women in Edmonton. I fell in love with these handcrafted bags a few years ago. Partly because I love the combination of feminine and rock’n’roll with each Duval piece, and partly because the designer, Esther Hempel, is a work-from-home mama balancing parenting and running a business just like me. We hit it off right away! Duval Canada donates 10% of all net profits to different charities throughout the year – most recently with A Better Worlds textbook program. We recently switched to an Endy mattress and we love it! The Canadian makers of mattresses, sheets, and other sleep accessories are big on sustainability. Endy mattresses are designed to fit in a box no bigger than a hockey bag, to allow more products into each delivery truck. The company is also 100% e-commerce meaning no printed receipts and no stores to power. If you live in downtown Montreal or Toronto, bike couriers actually deliver your mattress to your door! Use the code Kari50 to get $50 off your Endy purchase. Shop here. Endy partners with local charities from coast-to-coast to donate new and gently used mattresses to families and individuals in need. Since it’s launch, the company has distributed more than 2,000 mattresses through its charity partners in every Canadian province. Pin this to your shopping and charity boards and don’t forget to follow me on Pinterest! Which brands do you align yourself with, specifically because they give back? Share in the comments below so we can all learn about who is out there doing meaningful work! Thankyou for puting me onto Tiny Zen Kari! Just over a wk ago we had to say goodbye to our 8yr old beloved white female labrador quite suddenly. My daughter who is in the military was unable to be here to say goodbye. This would be an incredibly heartfelt piece of jewellery for her to have. I’m ever so thankful to have heard about her through you. OMG!!!!!!!!! I can’t believe I won!!! This is so incredible Kari. I honestly never win anything . After seeing my name in disbelief I hugged my husband and cried my heart out. This means more than you could possibly know. Thankyou from the bottom of my heart. It’s going to touch my daughter deeply. We’ll always be grateful to you and Tiny Zen Memory.